You have to be fairly old to even remember City Hospital. 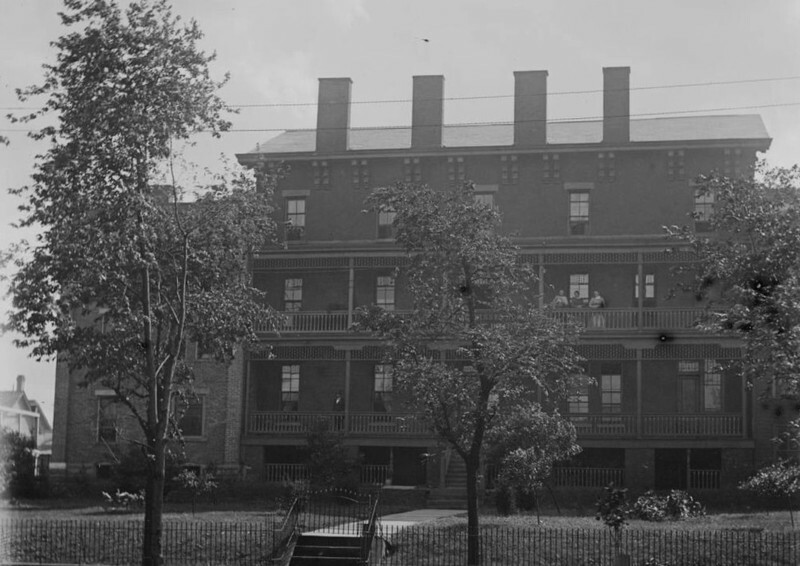 Founded in 1837, just one year after Cleveland became a city, it was Cleveland's first public hospital. In 1958, after 121 years in existence, and as a result of the growth of Cleveland's suburbs and recognition that the services provided by the hospital had become county-wide, it was transferred to the Cuyahoga County Hospital System, becoming Metro General Hospital. Today, it is the main campus of the MetroHealth System. City Hospital had its origins in the great cholera epidemic of 1832. Soldiers on the Henry Clay, a ship that was transporting them across the Great Lakes to fight in the Black Hawk War in the West, had contracted the disease while their ship was docked in Buffalo. They became sick as the ship sailed to Detroit, which, at least according to one Cleveland historian, stationed armed men on its docks to prevent the soldiers from disembarking there. 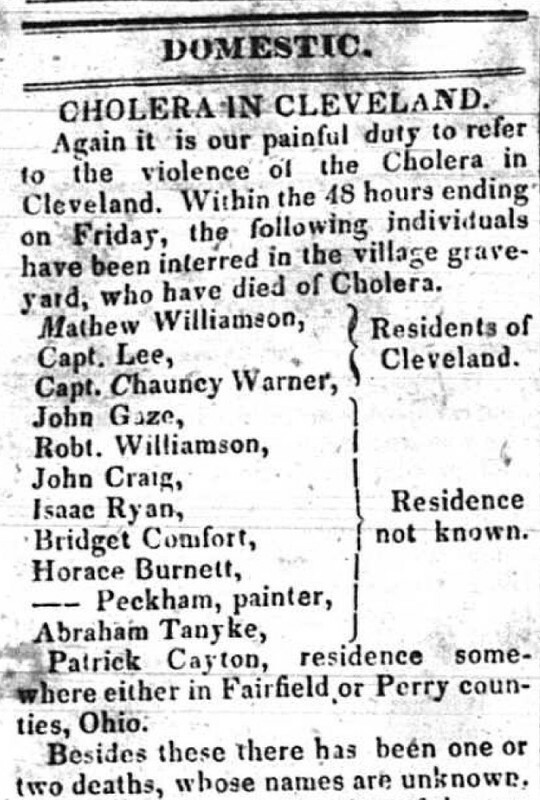 Compelled to seek medical help elsewhere, the ship headed to Cleveland where the soldiers received treatment. Unfortunately, the cholera soon spread to the local population, killing 50 people within several months. 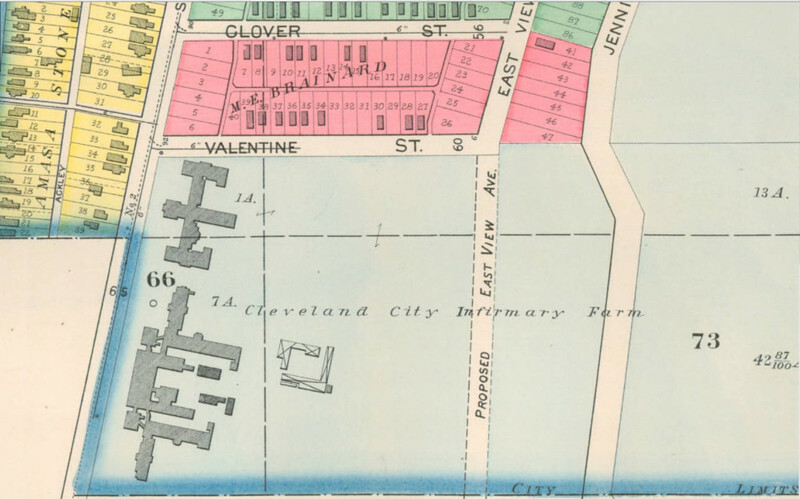 In the aftermath of the epidemic, Cleveland created a Board of Health, and, in 1837, the Board took over the former Cleveland Township poorhouse, converting it into an institution that was initially called the City Hospital, but later became the Cleveland Infirmary. For a little more than a decade, the hospital operated out of the poorhouse, a two-story ramshackle building on the northwest corner of Sumner and Clinton (East 14th) Streets. It was located on the same grounds as Erie Street cemetery which prompted Mark Gottlieb, a journalist who wrote a history of University Hospitals, to note that that was "appropriate," because, in those days, people who went to hospitals usually died shortly thereafter. 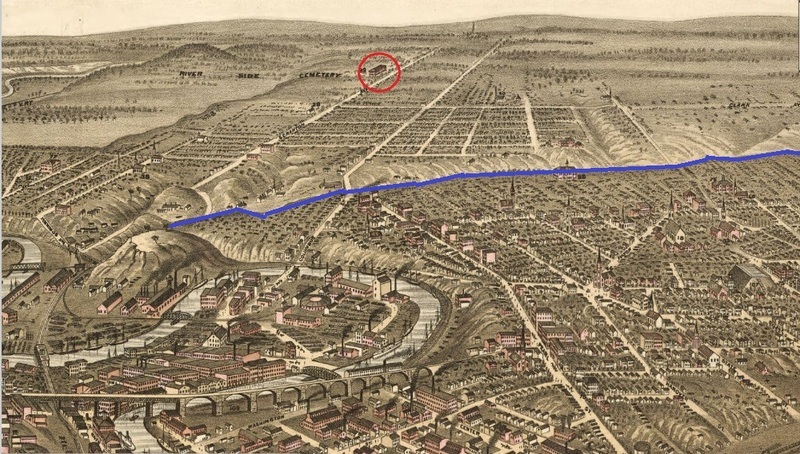 In 1851, as Cleveland grew and in response to another cholera scare, the city purchased an 80-acre lot in Brooklyn Township along Scranton Road as the site of a proposed new and larger City Infirmary. Plans were drawn and, in 1855, the city completed construction of an Italianate-style red-brick building which had five stories, including its basement and attic. The land on which the new infirmary sat had formerly been the Brooklyn Township poor farm. That the first two sites for City Hospital were places where the community's poor had been housed provides an insight into society's perception in that era that a close relationship existed between poverty, morality, sickness and disability. For the next three decades, medical treatment was provided in this building on Scranton Road, which became known as the "Middle House," because of the many annexes and wings that were added onto each side of it over the years. However, the building still served as primarily something other than a hospital during this time period. 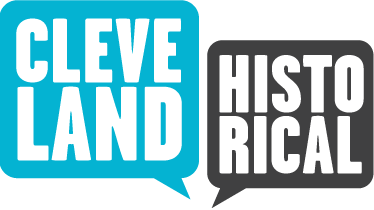 It was home--sometimes for decades, to an assortment of Clevelanders who were destitute, sometimes because of mental illness, sometimes because of disability, and sometimes simply because of poverty and advanced age. While some efforts were made to separate residents based on the condition which had brought them to Middle House, often the poor, the mentally ill, the disabled, the elderly poor, and even juvenile offenders lived in close proximity to one another and to actual hospital patients. In the final decades of the nineteenth century as medical science entered the bacteriological era and as the medical profession became, well, more professional, major change came to City Hospital. Slowly it transformed itself from an institution serving society's destitute into a medical treatment facility. 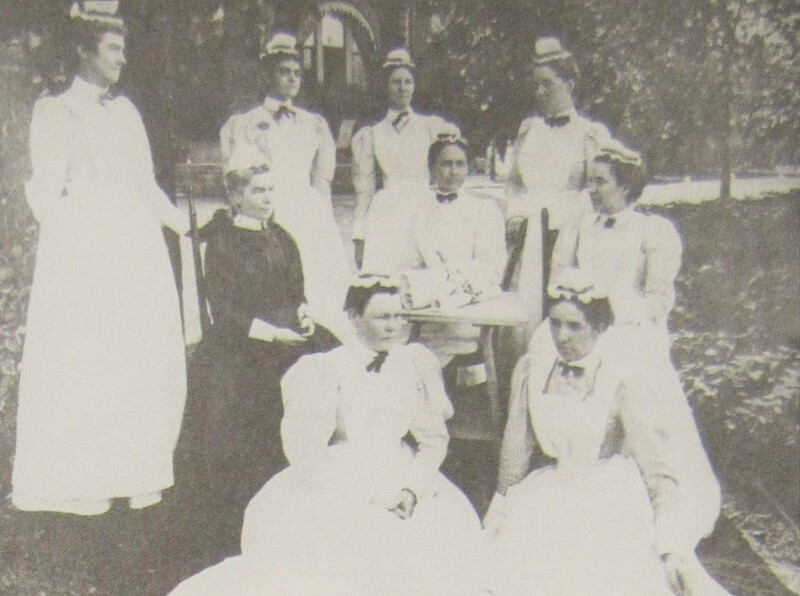 In 1889, a second building with the capacity to treat 200 patients was erected on the Scranton Road campus, just north of Middle House. 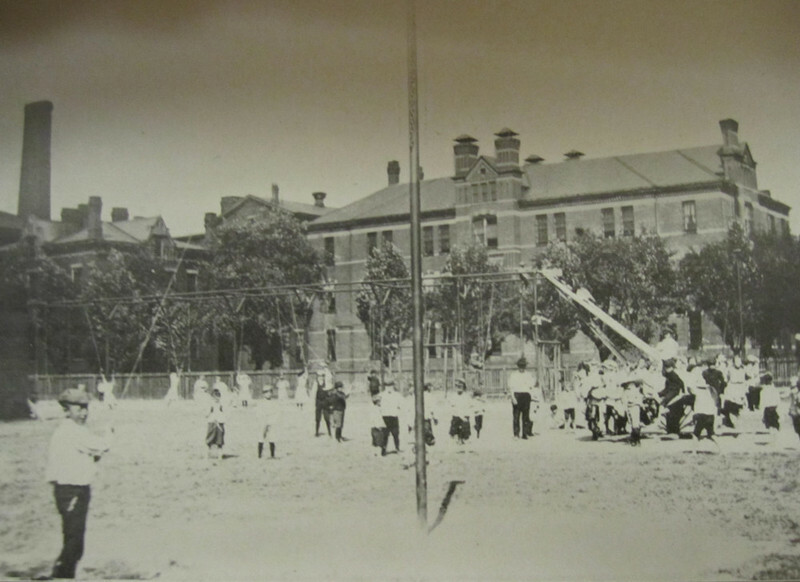 While the latter building and its multiple annexes continued for several more decades to provide what were considered charitable services for the poor, the disabled, the mentally ill, and others, the new building, which was officially designated as City Hospital, served exclusively as a place where sick and injured patients received medical treatment. In 1890, the quality of the medical services provided at the hospital began to improve markedly when, at the instigation of Cleveland mayor George Gardner, the Board of Health took first steps to begin ceding authority for hospital policy and procedure to a medical staff composed of a number of respected area physicians who were engaged in different fields of specialization. 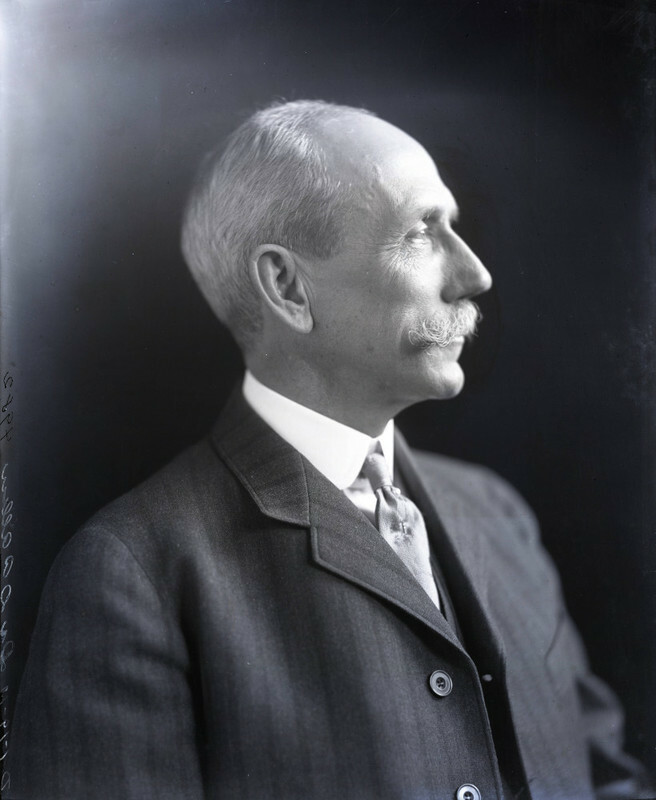 Among those early City Hospital physicians were Dr. George Crile, who would several decades later co-found the Cleveland Clinic, and Dr. Dudley Allen, who had married into the wealthy Severance family and became not only one of Cleveland's great surgeons, but also one of its great philanthropists. As the twentieth century arrived, City Hospital was on a fast track to becoming one of the largest and best hospitals in the United States. The campus grew immensely during the first three decades of the century. 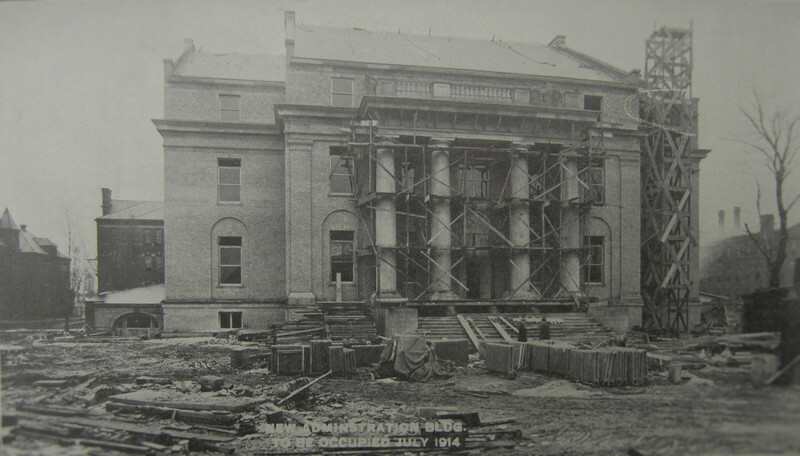 In 1913, while a new multiple building complex was under construction, the hospital became affiliated with the medical school of Western Reserve University, further enhancing its professional standards. 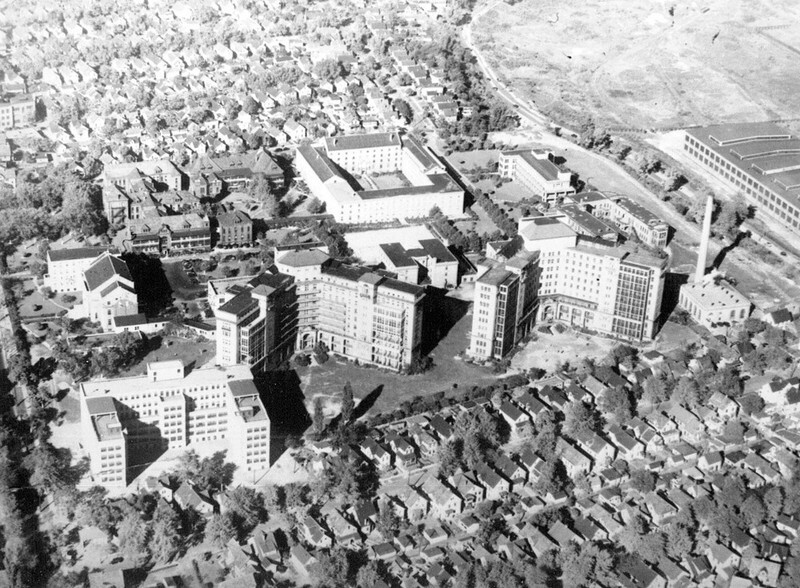 By 1937, which marked the one hundredth anniversary of its founding, City Hospital was the country's sixth largest hospital, with sixteen hospital buildings and 1,650 beds on the Scranton Road campus. It had come a very long way from its beginnings in the city's poorhouse located on the grounds of Erie Street cemetery. Tuberculosis Sanitorium : Built during the 1902 smallpox epidemic as a "pest house," this City Hospital building was located on the east side of the campus a distance from the rear of the buildings fronting on Scranton Road. 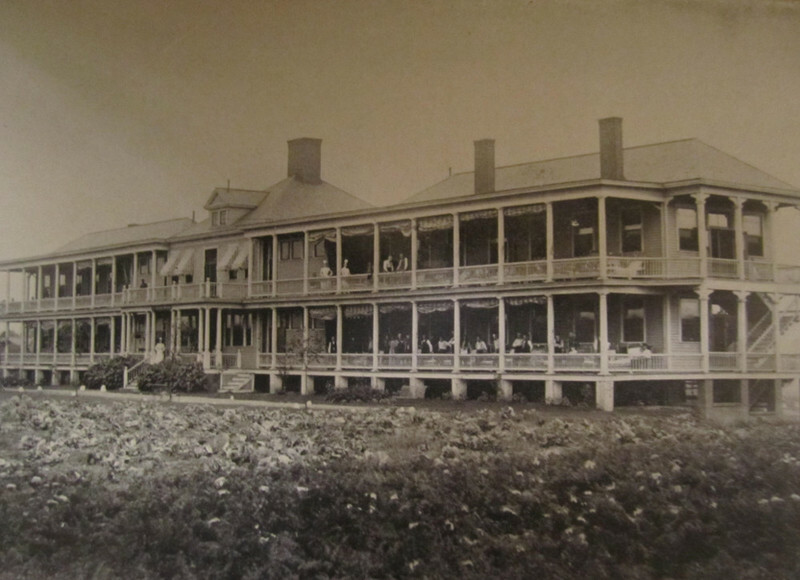 In 1903, it became a facility for the treatment of tuberculosis, reputedly the first such separate hospital facility in the United States for the treatment of this disease. The above undated photo of the building appeared in the 1909 Cleveland Annual Report. Image courtesy of Cleveland Public Library, Administrative Library Branch. Jim Dubelko, “City Hospital,” Cleveland Historical, accessed April 18, 2019, https://clevelandhistorical.org/items/show/667. Published on Aug 23, 2014. Last updated on Apr 18, 2017.